everydaymatters: This Is Why God Made Curtains. I've told you about my gigantic window before. Amber is in the process of making curtains for us, but she had something more important (a baby!) come up so we don't have them yet. 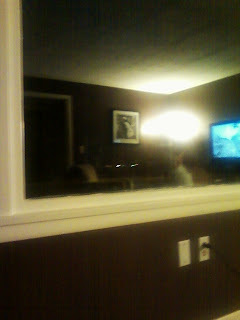 We were watching television the other night and this guy popped up in our front window just to see what we were doing. I'm so serious. It is difficult to see, but there is a cat under the big light reflection. He was just dropping by. In other news: you can get just about anything you want if you just ask. We went to the gym on Saturday before we headed to Eric & Michele's housewarming party. We both took everything we needed with us so that we wouldn't have to go home since they live right around the corner from our gym. Well, I thought I took everything I needed...I forgot shampoo. I asked the gym owner, and even looked in the lost and found. Nothing. Desperate times call for desperate measures, right? Ok, that is totally dramatic. It's not like I even live that far away, it was just pure laziness. 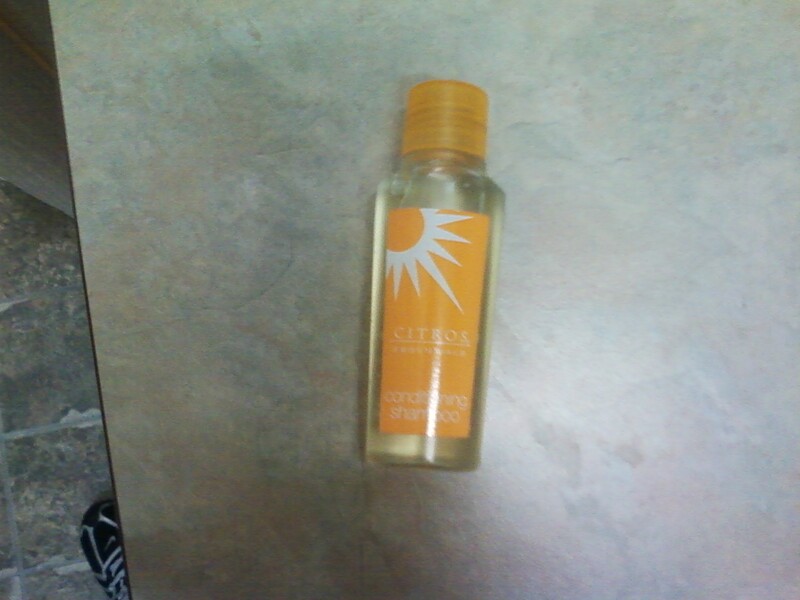 Anyway, there is a La Quinta Inn in the same complex as our gym, so I walked over there and the nice lady working at the front desk gave me this awesome bottle of shampoo. 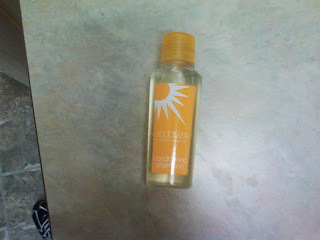 Ok, it was still hotel shampoo, but she helped me out. Congrats on finding $5! That's always awesome. I am actually responding to the Zumba question. It's really fun and awesome. I did it along with my boot camp. Its working out all sorts of muscles while "dancing" to latina music. There are info commericals on it all the time. You should check it out, but its not like lifting weights, way more action and of course music!!! Let me know if you try it. I was wondering about the Zumba because everyone seems to be talking about it. I don't usually do the classes at our gym because you have to pay extra and I don't really want to. We make it $20! :) If it makes you feel better one day while showering at the gym I forgot my towel! And used one of the mini sweat towels to dry off... the thing was SOAKED then I freaked out becuase I wasn't sure if I should have done that... SO I stole the towel... THEN I found $20!